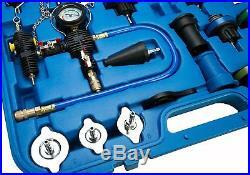 28PCS Radiator Pressure Tester Vacuum-Type Cooling System Refill Tool Kit. At the same time, the item's guarantee period is one year. Color coded radiator test caps. 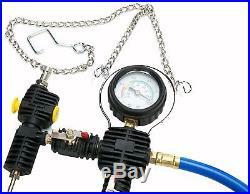 Kit includes : Pressure Testing Pump w/ Hose, Quick Coupler with Pressure Release, and Gauge: Test Range 0 - 35 psi 1pc. 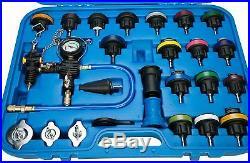 Black Radiator Cap Test Adapters to test for original radiator cap pressure release/cap leakage 17pcs. Test Caps for testing cooling systems on most domestic/imports. 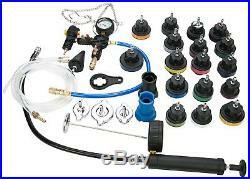 Vacuum Type Cooling System Purge & Refill Tool Kit for quick change of coolant. Acura, Mercedes Benz, GM, Jeep, Peugeot, Subaru, Chrysler, Mitsubishi, Nissan, Mazda, Toyota, Infiniti, Geo, Suzuki, Isuzu, Honda, Acura, Lexus, Volvo, Saab, Citroen, Renault, Fiat, Alfa, Mini Copper, VW, BMW, Ford, Opel, Porsche, Audi, etc. 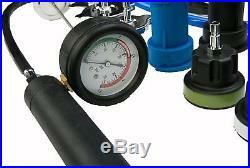 1: Pressure Testing Pump with Gauge. 2A: connector 1: available for radiator cap No. 2B: connector 2: available for radiator cap No. 3: Mercedes (W123, W126, W124, W201), GM(Buick), Jeep. 4: Peugeot, Subaru, Chrysler, Acura, GM(Nova, Spectrum, Sprint), Mitsubishi, Nissan, Mazda, Toyota, Infiniti, GEO, Suzuki, Isuzu, Mercedes. 5: Honda, Toyota, Suzuki, Mitsubishi, Chrysler, Acura. 7: Volvo, Saab, Sterling, Citroen, Renault, Fiat, Alfa, Jeep. 8: VW(Vento, T4, Passat-1996, Golf, Beetle, Sharan). 9: Audi(A4, A5, A6), BMW 345, VW(Passat-19972002), Porsche(Cayenne). 10: BMW (E46, E36, E34, E39, E38, E32, E90). 12: International, Land Rover, Jaguar. 13: Mercedes (C-class, E-class, S-class, W140, W220, W124, W210, W211, W215, W216, W221, R230). 17: BMW E60, E63, E64, E65. 18: VW SHARAN 1.8T2.8. 19: TOYOTA-RAV4, PREVIA Universal rubber radiator adaptor Hose for purge/refill Coolant refill hose. Rubber radiator adaptor Hose for purge/refill Coolant refill hose. Easy To Use - Our kit easily tests your radiator system for leaks or change the coolant effortlessly. 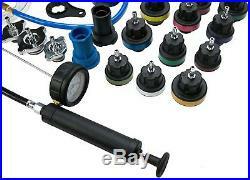 Universal - This kit features 19 radiator cap attachments is suitable for most domestic and import vehicles. Color Coded Caps - Color coded radiator test caps aid with identifying which cap is needed for each application. Purge & Refill - Due to the special design, the vacuum style pump can both purge and refill nearly all types of radiators. 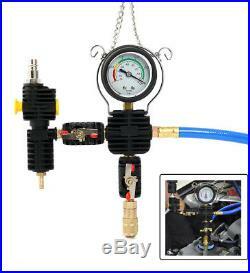 35 PSI - Tests automotive pressurized cooling systems up to 35 PSI. Relief Valve - Thumb-operated relief valve provides quick and easy method for quick pressure adjustments. Quick Disconnect - Self-locking quick-disconnect components for fast and easy attachment changes. 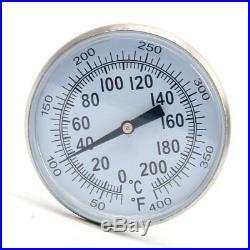 Vacuum Gauge - The pressure gauge accurately reads the current Vacuum (inHg & mmHg). Blow Molded Case - Bold molded case keeps your kit organized, easy to store and highly portable. 1 x Pressure Testing Pump with Hose. Black Radiator Cap Test Adapters to test for original radiator cap leakage. 20 x Test Caps for testing cooling systems on most domestic and import vehicles. 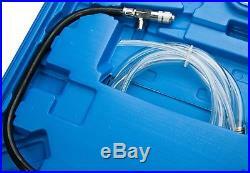 1 x Vacuum Type Cooling System Purge and Refill Tool Kit for quick change of coolant. 1 X Blue or Red Carrying Case. After you order, you must pay within 7 days. Please check your address, we are not responsible for the wrong address. This is the only way to guarantee that you will automatically be charged once only. If you do not like the goods and you want to return them, please see below. All used items do not accept return, only reissue accessories. Before you return the goods, please tell us first. Please return the goods within 7 days after receiving the goods. Please confirm, pack the goods as original. But please do not forget to send us some clear photos. Because of the time difference we may not be able to answer your question in time. We are happy to help you to get a satisfying result. We are happy to get you a nice shopping mood. Feedback is very important to us. If you are satisfied with us, please rate us with 5 out of 5 stars. In return, of course, the positive countervaluation. 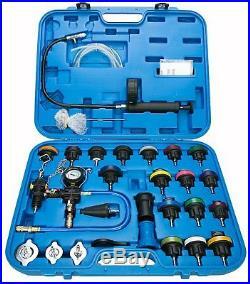 The item "28PC Radiator Pressure Tester Water Pump Pressure Tester Coolant Refill Kit Set" is in sale since Tuesday, September 27, 2016. 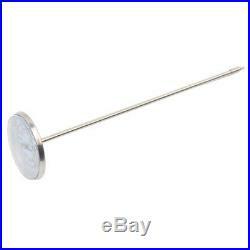 This item is in the category "eBay Motors\Automotive Tools & Supplies\Diagnostic Service Tools\Other Diagnostic Service Tools". The seller is "yaemart-dora" and is located in KY, CA. This item can be shipped to United States, Canada, United Kingdom, Australia, Mexico, Germany, Japan, Denmark, Romania, Slovakia, Bulgaria, Czech republic, Finland, Hungary, Latvia, Lithuania, Malta, Estonia, Greece, Portugal, Cyprus, Slovenia, Sweden, South Korea, Indonesia, Taiwan, South africa, Thailand, Belgium, France, Hong Kong, Ireland, Netherlands, Poland, Spain, Italy, Austria, Israel, New Zealand, Philippines, Singapore, Switzerland, Norway, Saudi arabia, Ukraine, United arab emirates, Qatar, Kuwait, Bahrain, Croatia, Malaysia, Chile, Colombia, Costa rica, Dominican republic, Panama, Trinidad and tobago, Guatemala, El salvador, Honduras, Jamaica.